Growing up, swedish meatballs were a staple in our family. The recipe has been perfected over centuries, then promptly ruined by commercialization. Now we’re getting back to the roots of a real, hearty, good for you, swedish meatballs from scratch recipe. 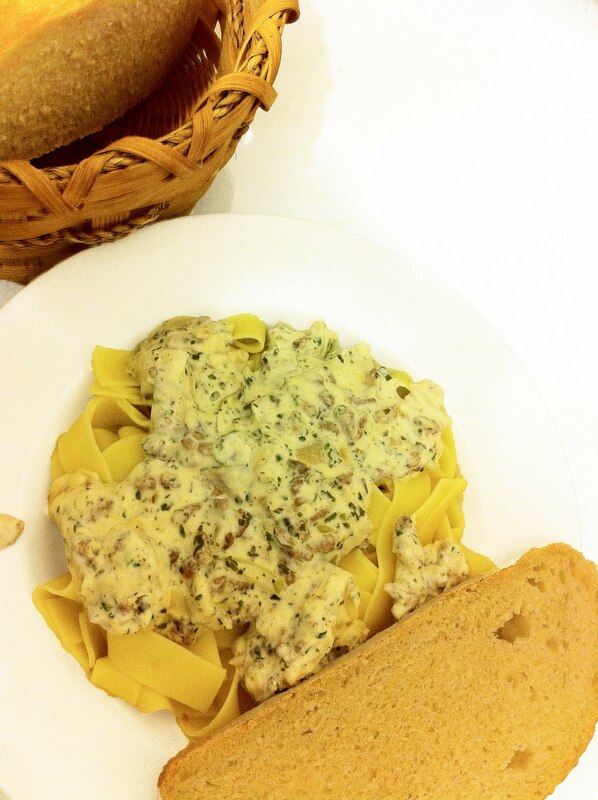 Swedish meatballs are essentially beef, onions and mushrooms in a sour cream and parsley sauce. Any dish called “Mom’s Meatballs” is bound to have variations inspired by each household, that’s why Köttbullar or Swedish meatballs must be prepared, above all, with love. So if you’re trying your hand at this timeless recipe, don’t feel intimidated by the variety of choices, just go with your gut and make a dish you would enjoy. Apparently, in southern Sweden many people prefer their meatballs with a little more fat, but the further north you go, the less pork you will find in the meatball mixture. Some things remain constant however, bread dipped in milk is a must! First dice the entire onion and soften it on the stovetop, set it aside. 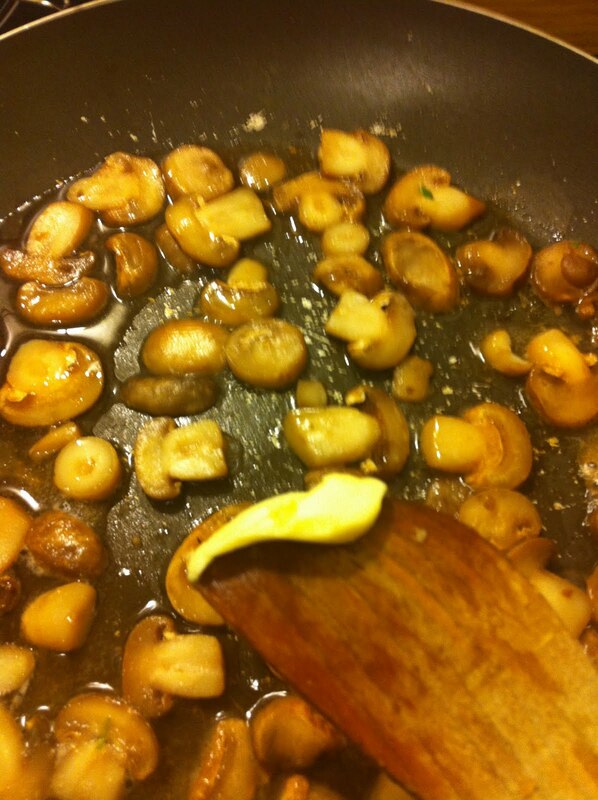 Then sauté the sliced mushrooms – don’t crowd the mushrooms! Meanwhile, stir together half of the onion and all of the meatball ingredients in a mixing bowl. Tear up the bread and get it wet in the milk, it will mix more easily. Frying the meatballs might be the most authentic method, but you can also bake them in the oven on a sheet of parchment paper, less mess, less fat. Chop the parsley with scissors and mix the sauce ingredients together, perhaps in your mushroom pan to heat the sauce one last time before serving. Tradition would have you serve the meatballs separate from the sauce, and generously pour the gravy over the meatballs. 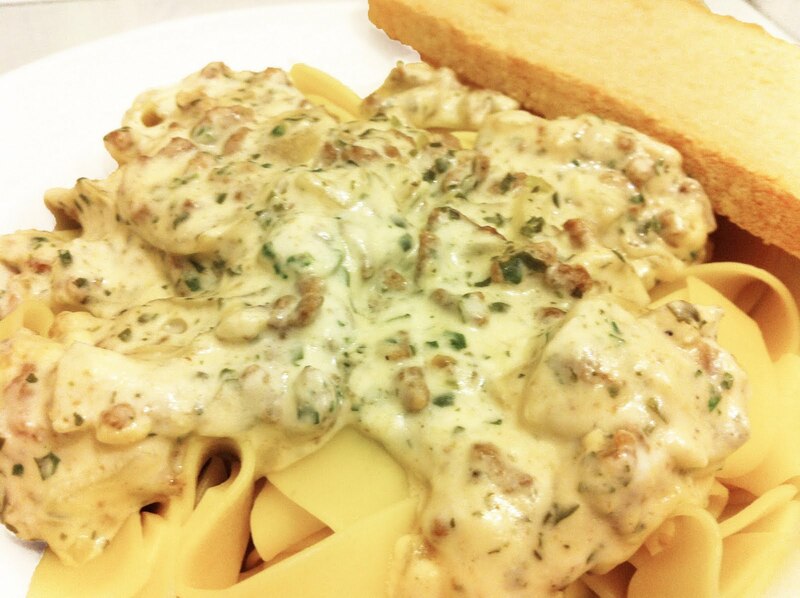 Serve with mashed potatoes or egg noodles. Always accompanied by lingonberries on the side.